The most popular social networking sites sure have changed over the years and as time goes by they are expected to change even further. Old social media trends will die and new ones will surface and you never know what will come soon and take the market by storm. Since the introduction of social networks there has been a significant shift toward mobile-based social media consumption. A recent Mobile Africa 2015 study conducted by the mobile surveying company GeoPoll and World Wide Worx on mobile phone usage in five African countries has delivered startling findings on the rise of Internet access via phones. The most significant finding was that internet browsing via phones now stands at 40 per cent across these markets, with 51% of respondents in Ghana and 47% in Nigeria reporting that they use their phones to access the internet. South Africa lags behind at 40%, and Kenya (34%) and Uganda (29%) are slowest on the uptake. 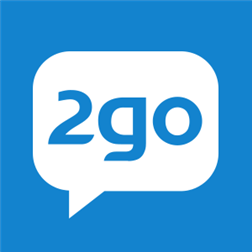 2go is a mobile social network that allows you to chat, share with friends, and meet new people. Users can create their profiles and upload profile pictures. The app allows you to message friends instantly, receive notifications of new messages, share photos and files as well as invite friends using their phone number or username. Viber is an app that allows everyone in the world to connect, freely. More than 500 million Viber users text, call, and send photo and video messages worldwide over Wifi or 3G - for free. Viber Out can be used to make calls to non-Viber mobile and landline numbers at low rates. This app is available for many mobile and desktop platforms. On Viber, your phone number is your ID. The app syncs with your mobile contact list, automatically detecting which of your contacts have Viber. It's a simple, fast and fun way to capture and share life with your family and friends on your Windows Phone. The app allows you to transform everyday moments into works of art you'll want to share with friends and family and gives you access to a world of inspiration as you view photos from near and far. Facebook is a social platform that connects people with current and old friends, people they went to school or work with, acquaintances and besties alike. It allows you to keep up with friends, share photos, videos, news, thoughts and commentary. 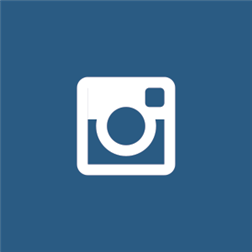 Facebook for Windows Phone v5 has been completely overhauled, with faster performance, a new user interface, improved navigation, support for multiple resolutions and tile sizes, and more. Keeping up with friends is now faster than ever before. 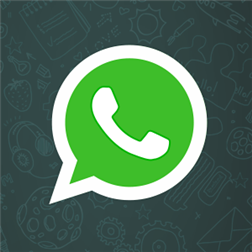 WhatsApp Messenger is a cross-platform mobile messaging app which allows you to exchange messages without having to pay for SMS. This app allows you to send and receive messages, pictures, voice messages, and video messages. This one doesn't need any introduction and also now comes with the latest voice calling facility which will soon be enabled for Windows phones too. Staying connected is the life we are all following at the moment but it's also a necessity to stay personal and close with people in our own houses and locality by meeting and greeting offline too. Think about it!